Ruby Wax delighted the Keynote Arena at Safety & Health Expo with a fascinating and entertaining talk about depression, stress and how we can learn to cope. 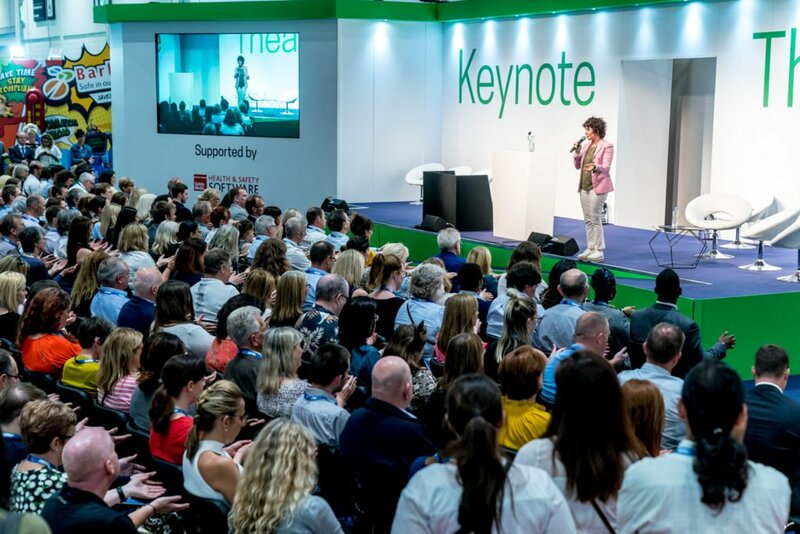 The first of three inspirational speakers to address the SHE crowd over duration of the show, Ruby Wax explained the difference between stress and mental health to a packed Keynote Theatre. Ruby, famed for her comedy and acting but now a speaker on mental health issues, described mental health as “the latest killer on the block”. While most of those at the Expo focus on “stopping people from being sucked through escalators”, mental health and stress affects way more people. Ruby suffered depression for many years and suffered in silence. She describes depression as “replacing your old personality with a block of cement”, an episodic loss of everything you are. After exploring the issue through her shows she studied for a Masters degree in Mindfulness-based Cognitive Therapy at the University of Oxford, and is now Visiting Professor in Mental Health Nursing at the University of Surrey. Ruby stressed that depression is not selective: one in four people have depression or some type of mental illness, and they “could be the best people in your company”. But what can you do to detect when someone you work with is suffering? The problem, she says, is that often people don’t know there’s a problem themselves. Worries about job security will only make things worse. Those suffering from poor mental health, says Ruby, feel shame, a crowd of abusive voices picking on them for feeling down, for being inadequate and for daring to feel bad when other people in the world are in worse situations. Ruby’s top tips are contacting charities like MIND and suggesting medication – it is an illness and should be treated as such. The bulk of Ruby’s talk was highlighting the distinction between “being stressed and mentally ill”. “Everybody’s stressed, it’s a normal reaction to the world we live in. It’s rational. If you aren’t stressed then you’re unstable,” she said, pointing to certain politicians on the world stage as examples. Ruby has delved into mental health and stress with a show and a book, ‘A Mindfulness Guide For The Frazzled’. “Being frazzled is being stressed about stress,” she explains. Rather than something to be ashamed of, stress is evolutionary, but with the rapid technological revolution that humanity has overseen in the past few decades, we have not yet evolved to keep up: “Technically the human race is top of the range. We’re cognitively brilliant. The problem is evolution only cares about our survival, it doesn’t give a crap about our happiness. Too much information of suffering and threats from all over the world are thrust at us by our technology, and as creatures of addiction we always go looking for more. Added to this is the social threat provided by platforms like Instagram, Facebook and even LinkedIn – “We live in a world where you’re comparing yourself to everybody, not just those around you”. Ruby took the huge crowd through some techniques to drown out the noise. “You can’t stop the waves but you can surf them”. Mindfulness, she said, is an exercise, not a way of life, much like sit-ups. The more you do, the better you will get. She led an exercise, getting every crowd member to clap once and concentrate on the sensation vibrating through the fingers and hands. Taking time to concentrate on singular senses, she said, deactivates the gland producing cortisol. Like tapping your head and rubbing your belly, it is not able to do two things at once, and “happiness is being able to focus on what you want to focus on”. 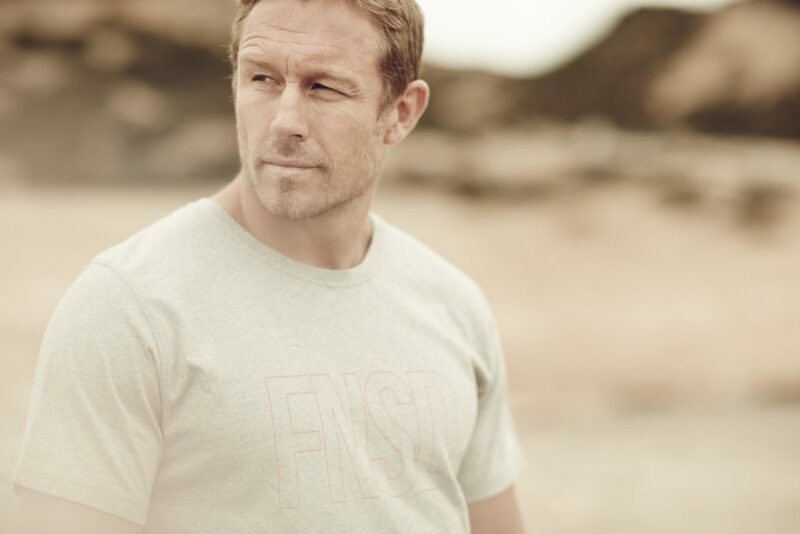 Exercising like this, like sit-ups, will make you stronger and stronger at fighting off ‘frazzle’, so that only real instances of stress will get to you. And this, says Ruby, can have a knock-on effect. Ruby ended by warning that to truly cope with the stress of modern life, “we will have to upgrade ourselves the way we’ve upgraded everything else”. 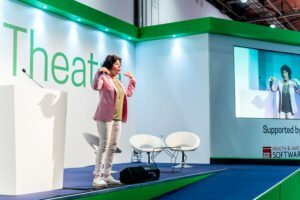 The best people in your company could be suffering from depression – Ruby Wax on mental health Ruby Wax delighted the Keynote Arena at Safety & Health Expo with a fascinating and entertaining talk about depression, stress and how we can learn to cope. Who is Eddie the Eagle, inspirational speaker at Safety & Health Expo 2019? Ms Wax was the driver for me to attend this years Expo- well worth the effort of getting there. Funny, inspirational and thought provoking. Much of the material she covered was “stuff” I had already come across before but she managed to bring it to life and give it a relevance to the workplace and life in general that has been lacking before.